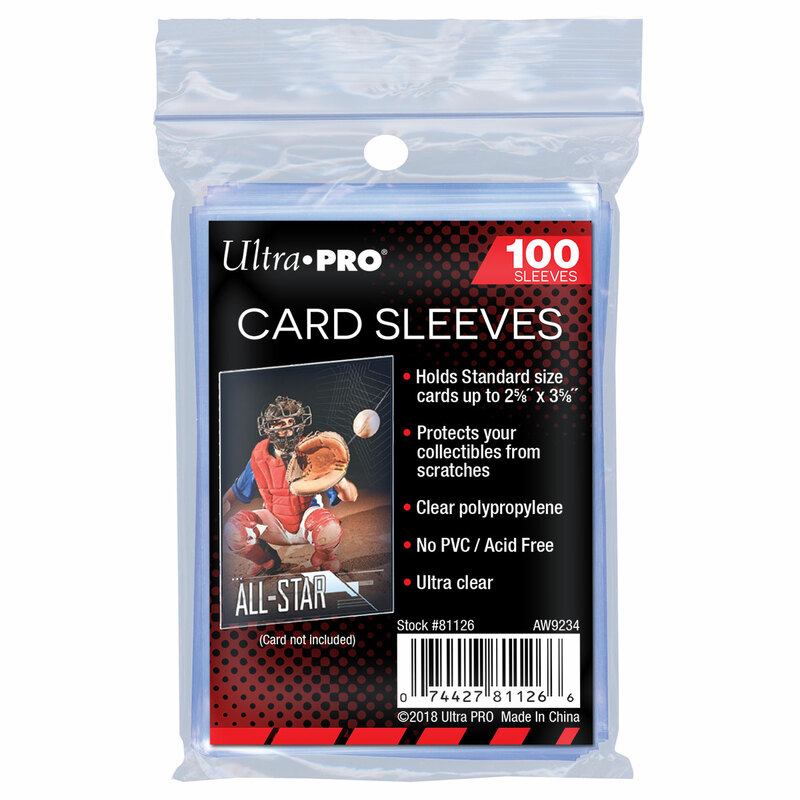 Archival-grade, acid-free and non-PVC soft card sleeves designed to hold standard 2-1/2" X 3-1/2" cards. Made from clear polypropylene. 100 count per pack. Holds standard size cards up to 2-5/8" x 3-5/8"
Our Price $1.00 Another currency?